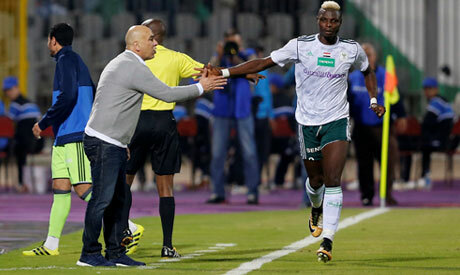 Egyptian side Masry were handed a favourable draw in the Confederation Cup round of 32 after they were paired with Gabon's C.F. Mounana on Wednesday. The draw, which took place at the luxurious Ritz-Carlton hotel in Cairo, pitted an ambitious Masry side against the club that were eliminated from the African Champions League at the hands of Egyptian giants Ahly. Mounana were hammered 7-1 on aggregate but will have a chance to make amends in the less illustrious Confederation Cup, Africa's secondary club competition. The first leg will be held in Libreville on 6, 7 or 8 April while the return will take place in Port Said on 17-18 April.